Appreciation is the increase in value of an asset over time, which is in excess of the asset’s initial value or cost. Appreciation can occur for a variety of reasons, including increased demand, weakened supply, or changes in inflation or interest rates; it is not as a result of improvements or modifications made to the asset. Examples of assets that can appreciate include stock, bond, currency, real estate, or personal property such as fine art or antiques. In accounting, appreciation refers to the upward adjustment of the value of an asset held on a company’s accounting books. Appreciation of assets is less common, but assets such as patents and trademarks can appreciate in value given the right circumstances. The more common adjustment on an asset is depreciation, which is loss of value of an asset over time. Capital appreciation: the rise in the value of an asset based on the rise in market price; appreciation occurs when the asset commands a higher price in market than originally invested or purchased. 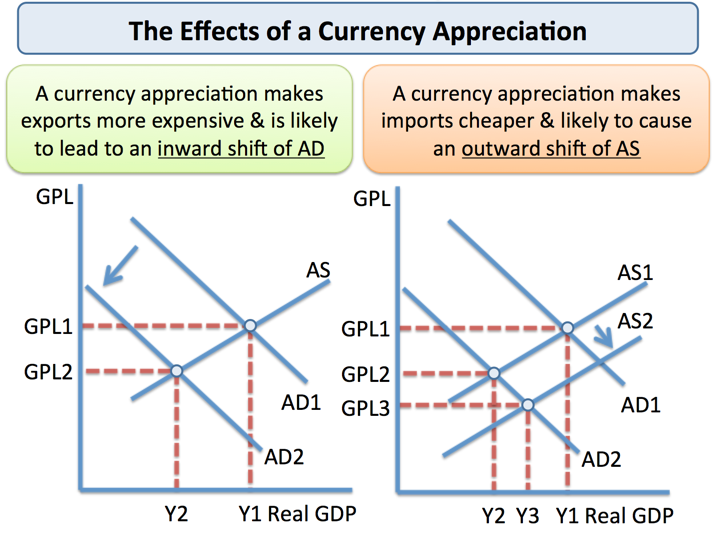 Currency appreciation: the increase of in the value of one currency in regards to another currency; appreciation can occur for various reasons including government policy, interest rates, trade, and business cycles. While certain assets are given to appreciation, such as real estate or securities (stocks and precious metals), most assets are set to depreciate over their lifetime. Generally, assets that have a finite useful life will depreciate, such as cars, technology devices, or equipment. When an asset appreciates, it must be revalued at its current market price and adjusted in a company’s accounting ledgers. Revaluation of fixed assets is required to accurately describe the true value of the capital goods a business owns; this is especially helpful when a company would like to sell its assets, prepared for sales negotiations, or invest in another business. Indexation: Indices, typically of the country’s department of Statistics or Economic Surveys, are used to evaluated the value of assets. Current Market Price (CMP): Estimates and adjustments from related or similar types of assets to determine the value and appreciation. Appraisal: Use of experts knowledge to examine and evaluate an asset’s fair market value. Selective revaluation: Revaluation of assets in a specific location or certain class of assets.